The member of Miss A pop idol group, Suzy, has a deep friendship with Kim Soo Hyun. 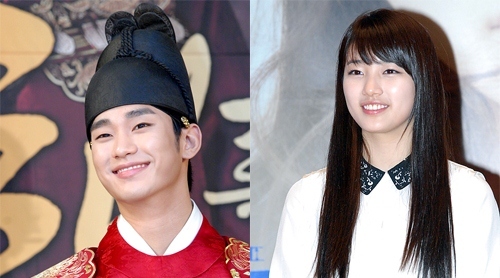 On an interview held on the eve of miss A’s new mini-album Touch in late February 2012, Suzy revealed that she often text messaging each other with Kim Soo Hyun. Suzy was co-starring with Kim Soo Hyun in drama series Dream High in 2011, displaying the love of student. Currently, Kim Soo Hyun is critically acclaimed for his performance in MBC drama series The Moon that Embraces the Sun. “Instead of saying Kim Soo Hyun is handsome, why not saying that it’s like Sam Dong (Kim Soo Hyun’s role in Dream High) has evolved,” provoking laugher. On the other hand, miss A launched the promotional activities for the new song Touch through M! Countdown on February 23rd, 2012. The song Touch composed and written by Park Jin Young displays the even more mature charm of Miss A.